The Supertitle project is one of our key ideas at eQuality Time and it’s also the only one that’s younger than eQuality Time itself. It’s been entirely developed in public view. 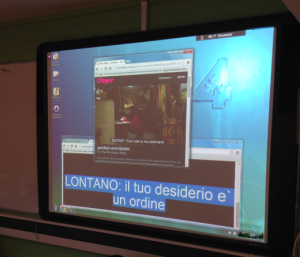 We’ve run sessions in 10 schools so far, working with around 60 students in six languages. We’ve made our materials and our technology better and we have a more effective approach to teachers. The funder for the second phase of the Supertitle project is Awards for All. They would like a report by the end of September, and we spent a proportion of the summer drafting one to think carefully about where we are and check that everything in the plan has been done. eQuality time is two years old.